Black Carousel: Do You Know The History Of Trenchcoats? The trench coat was developed as an alternative to the heavy serge greatcoats worn by British and French soldiers in the First World War. 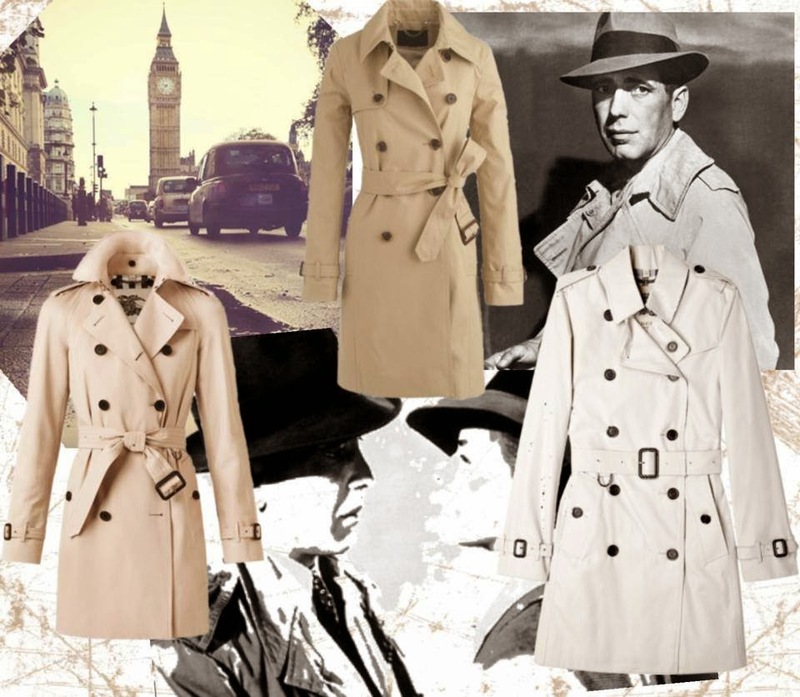 Invention of the trench coat is claimed by both Burberry and Aquascutum, with Aquascutum's claim dating back to the 1850s. Thomas Burberry, the inventor of gabardine fabric, submitted a design for an army officer's raincoat to the United Kingdom War Office in 1901.The trench coat became an optional item of dress in the British Army, and was obtained by private purchase by officers and Warrant Officers Class I who were under no obligation to own them. No other ranks were permitted to wear them. Another optional item was the British Warm, a wool coat similar to the greatcoat that was shorter in length, also worn by British officers and Warrant Officers Class I as an optional piece.During the First World War, the design of the trench coat was modified to include shoulder straps and D-rings. The shoulder straps were for the attachment of epaulettes or other rank insignia; There is a popular myth that the D-ring was for the attachment of hand grenades. The ring was originally for map cases and swords or other equipment to the belt. This latter pattern was dubbed "trench coat" by the soldiers in the front line. Many trench coats had large pockets for maps and cleverly placed flaps and vents to deal with the odour associated with earlier rubber coats. A range of waterproof coats were designed and sold during wartime that incorporated War Office requirements with traditional aspects of leisurewear. What became known as the ‘trench coat’ combined the features of a military waterproof cape and the regulation greatcoat designed for British officers.Many veterans returning to civilian life kept the coats that became fashionable for both men and women.During the Second World War, officers of the United Kingdom continued to use the trench coat on the battlefield in inclement weather. Other nations also developed trench coat style jackets, notably the United States and Soviet Union, and other armies of continental Europe. A typical trench coat by this period was a ten-buttoned, double-breasted long coat made with tan, khaki, beige, or black fabric. Trench coats often have cuff straps on the raglan sleeves, shoulder straps and a belt. The trench coat was typically worn as a windbreaker or as a rain jacket, and not for protection from the cold in winter or snowy conditions. Αναρτήθηκε από Black Carousel στις 5:16 μ.μ.